Apple yesterday announced a new 13 inch MacBook Pro and slashed the prices of existing models with improvements in specifications . Base price of new MacBook Pro 13 inch is around $1199 with 160 GB hard disk, 4GB RAM and Core 2 Duo Intel processor. 13 inch MacBook Pro is currently not available in Apple India website , and the launch date is expected to be around August of this year . It is for the first time MacBook Pro pricing fell down to the mid segment range and by this Apple expect more sales from India and east Asian countries . 13 inch MacBook Pro has all the features of older versions and it would be finer choice if your about to purchase a notebook in 50K INR range . 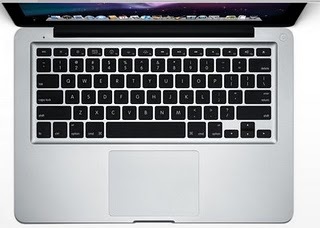 MacBook Pro 13 inch will be powered by Intel Core 2 Duo 2.26GHz or 2.53GHz with 3MB shared L2 cache . Installed RAM is 4GB ,and its expandable upto 8GB as per user requirements . 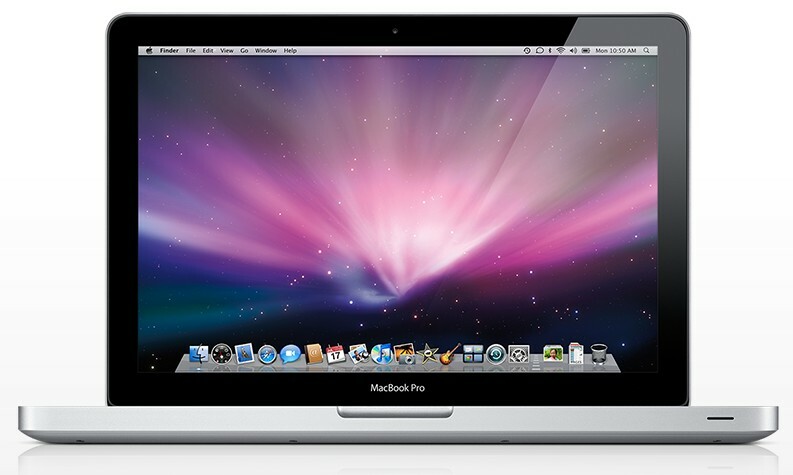 MacBook Pro 13 inch comes with the same exceptional battery that was early used in MacBook Pro 17 inch models . So the 13 inch model will too able to hold the power for a maximum of 7 hours . 160 GB SATA which is upgradeable upto 500 GB .128GB or 256GB solid-state drive are available at additional price . DVD drive with writer . Though there is a reduction in price , MacBook Pro 13 inch comes with the same aluminum aluminum and glass enclosure used in current Pro models . All MacBook Pro models were upgraded with latest NVIDIA GPUS .MacBook PRO 13 inch uses NVIDIA GeForce 9400M units with 256MB of DDR3 SDRAM for playing graphics intensive games and movies . Inbuilt iSight Camera , microphone and stereo speakers . Communication facilities in MacBook PRO 13 inch includes Bluetooth 2.i(with EDR),Two USB 2.0 ports,Gigabit Ethernet port ,SD card slot,One FireWire 800 port and Wi-Fi . 13 inch diagonal LED-backlit glossy screen supports millions of colors in native 1280 by 800 resolution . MacBook PRO 13 inch Indian price and launch date . New model available in Apple US online stores with configuration option .Indian price for the base model of MacBook Pro 13 inch will be around 55000 /- and it can upto 80000 for higher configurations . MacBook Pro 13 inch will be launched in India by the end of July or at the beginning August .